Download TheArtist Sans font for free. TheArtist Sans is a font / typeface offered for free. please note that if the license offered here is non-commercial you have to obtain a commercial use license / permit from the original author. 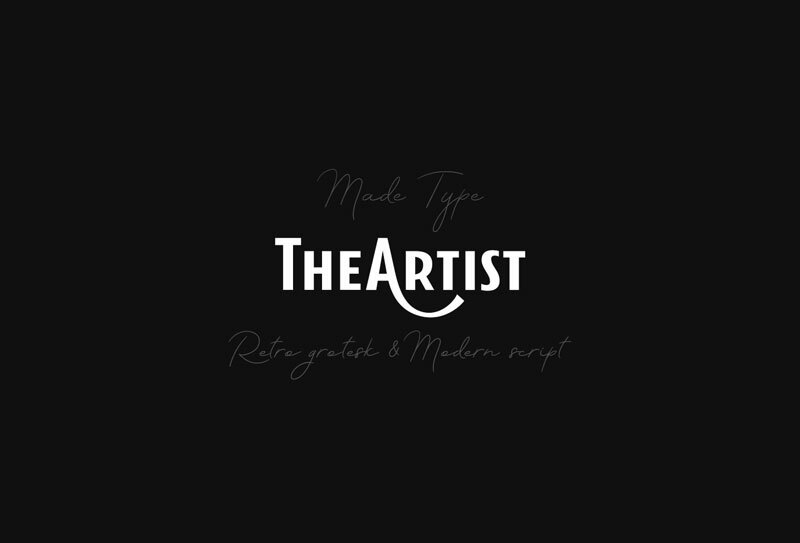 MADE TheArtist is a duo fonts – retro grotesk and modern script with Extras. TheArtist Sans is equipped with Swash alternates. MADE TheArtist is great for any kind of display use from online to packaging to posters or identities. If the TheArtist Sans font is offered under 'commercial use free' or 'creative common' license, feel free to use TheArtist Sans font for any purpose.